The mint green along with the green grass is a little odd. Maybe rework the ground or darken the mint green. Not sure but it looks epic.--About time! Now I need to go get a stronger laptop so I can log in without overheating.--Just wondering whose on spell check today because they must have had too much to smoke.--It's a /crystal/ city populated by /elves/, not some stupid cliche ancient castle populated by mahjarrat. It's going to have bright colors like blue and white and light green and teal. It's not going to be black and grey like Freneskae or whatever the hell it's called. Get over it.Again, it's an elf city, not some stupid zarosian poop. Don't expect it to be all dark and gloomy and cliche. People need to calm down... They clearly said "Here's what Prifddinas currently looks like. "The city is to be released in a month or two from now. Maybe even more.. It's a work in progress.You need more reliable closed captioning on your videos or provide transcripts. I don't bother to watch them anymore because I have to try too hard to pick up on what anyone is saying. I know others who feel the same. It's time to put Runescape on the Xbox.--they would never do that. 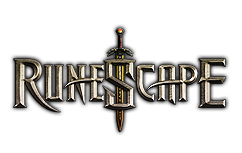 or on any smartphone or tablet since runescape is a WEB BROWSER game. that has never and will never change.Too much light colours... like the gree/blue colour.. try to recolour it a bit darker please... at the moment it looks like a disney castle or an amusement park. Would be awesome if this place had its own agility course.--There is. Plus a new familiar that helps with agil training. I hope it's not as sharp, polygonal speaking, there are crystals, but it shouldn't all be jagged. Other than that, great progress. Have you not added teh special effects none of this looks crystaline like the rest of the elfs.